CR84FN #40 | Work in Progress. 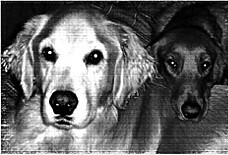 For my Operation Julie's Smile post, click HERE. Another week, another FABULOUS color combo from CR84FN! 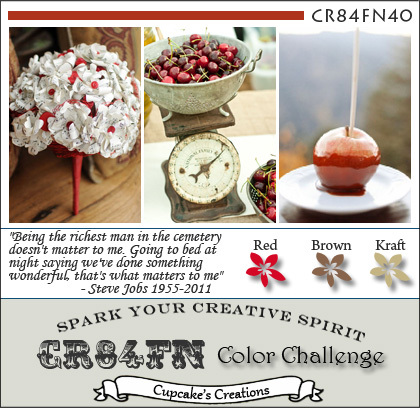 The amazing CR84FN inspiration graphics are created by Mona's talented husband, Scott. He also picks out the wonderful quotes each week. If you are an Apple fan (or perhaps not an Apple fan :)), you've heard the sad news of Steve Jobs passing. Scott, being an an Apple aficionado, has chosen a quote from Steve Jobs for the graphic this week in honor of the legendary CEO. And a great quote it is! Thanks so much Scott! In other news, we've got a new guest designer for the next two challenges. Please help me extend a warm welcome to Cheryl Lea!!! We're so glad to have your creative talents on board this month Cheryl!!! Posted in brown, CR84FN DT, frame, kraft, red, wreath . Bookmark the permalink. RSS feed for this post.